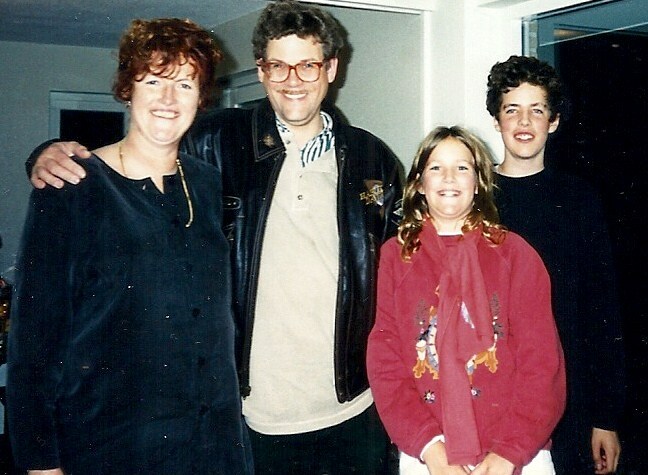 Time flies when you’re having fun… It certainly was true here. The ten days went by so quickly. We had a fabulous time! 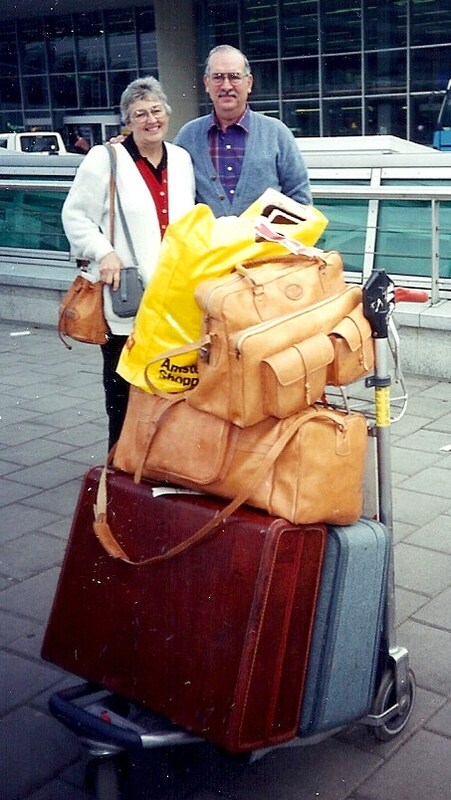 Picture #2 shows Jerry and me back at the Amsterdam Schiphol Airport. We’re loaded down…mainly with wooden shoes! We’ll never forget the smiles of our friends! I’m posting some pictures on here and even if you don’t know the people, just focus on their smiles! Be sure to click on the pictures to see them up close! Picture #1 We were surprised by a visit by our German friends,who came to visit us! Oh what fun! 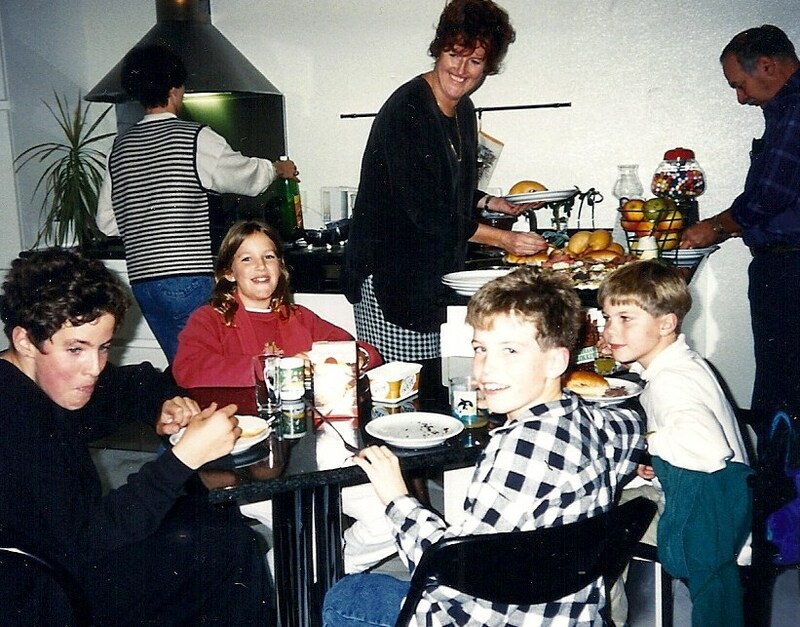 Going around the table: Philipp, back of Vivian, Marie-Christine, Gabi, Jerry, Jasper and Tom. 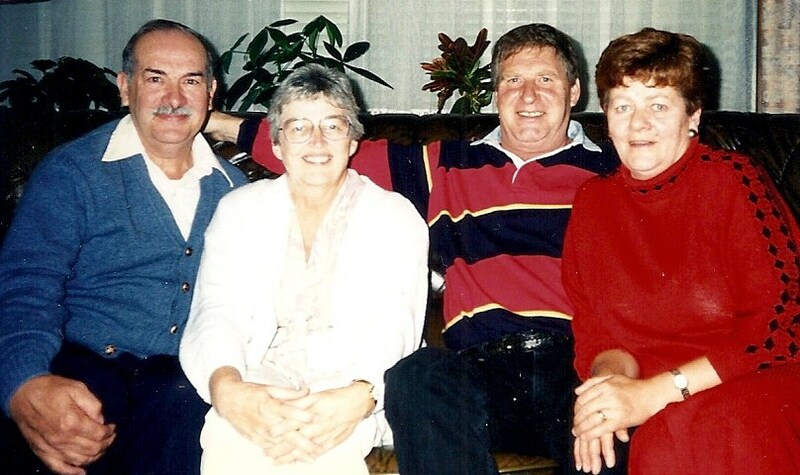 #3 Gabi, Frank, Marie-Christine and Philipp. # 4 Me, Gabi and Vivian. 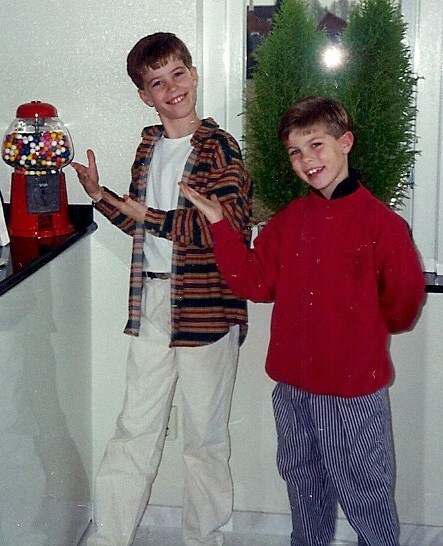 # 5 is of Tom and Jasper showing off their new gum ball machine! We had taken gifts to all our friends that we knew we’d see. 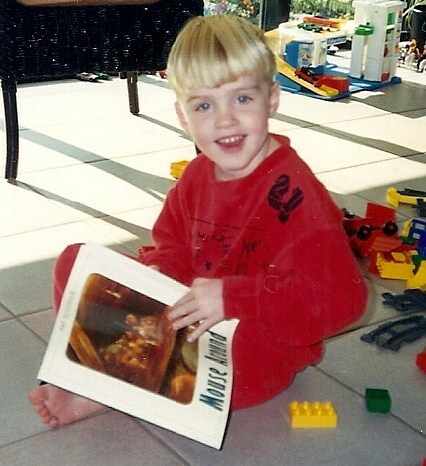 # 6 is Jan looking at the book we gave him, Mouse Around. Picture # 7 is myself and Katrine. The day that we spent with good friends, Henk, Anja, Tom, Dirk and Lettika. Anja, and I decided to have some fun by surprising another friend, who also lived in Terneuzen, but didn’t know we were visiting. She had been a student of mine in the US. Jerry and Anja hid while I knocked on Katrine’s door. Oh…the priceless look on her face when she opened the door and recognized me standing there! She didn’t know we were in The Netherlands! We had a great visit with Katrine too. 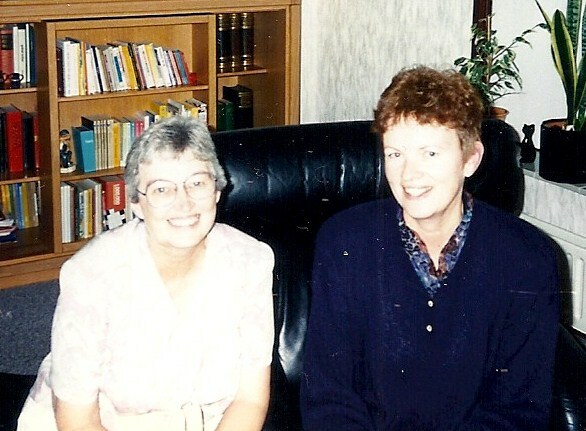 # 8 are friends, Jo and Annie, Vivian’s parents. We’re good friends even though we can’t speak Dutch and they can’t speak English! We spent a day with the Pichel family. Henk and Anja knew we were coming but they didn’t tell their kids. They only told them company was coming so they were to have their bedrooms picked up and to be on their best behavior. The kids thought a business man was coming! I’ll never forget the surprised looks on their faces when they looked out the windows and saw Jerry and me! Tom and Dirk had been ESL students of mine during their years in the US so we knew each other well and were very good friends. So there you have it. Our wonderful, unforgettable trip to The Netherlands! 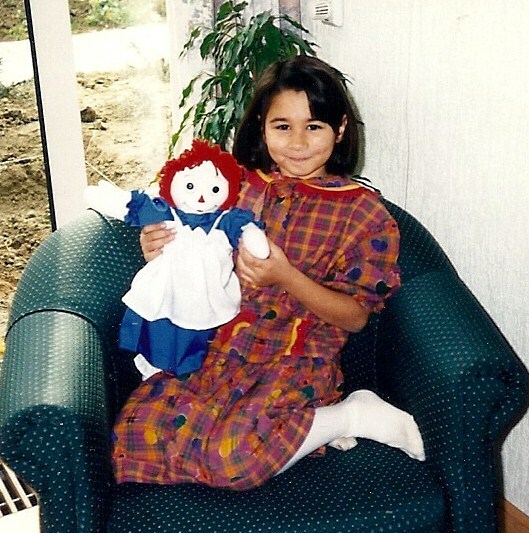 Picture # 9 is Lettika and the Raggedy Ann doll I made for her! For the rest of this family we took a Monopoly game featuring our fair city! 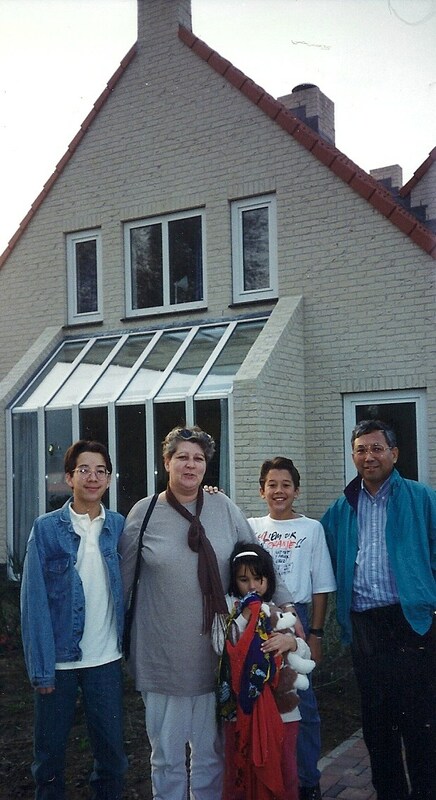 Picture # 10 is of Tom, Anja, Lettika, Dirk and Henk in front of their new home. 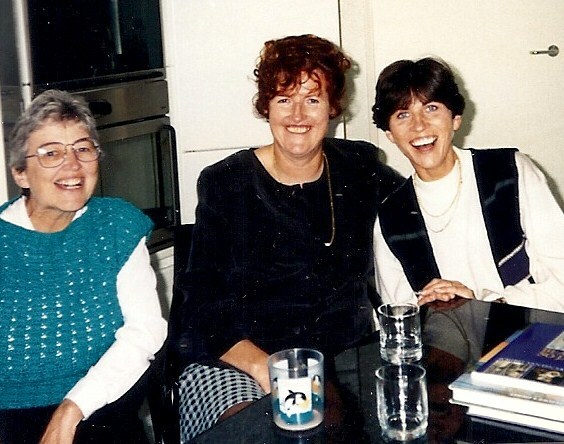 This entry was posted in Europe, The Netherlands, Traveling and tagged Europe, The Netherlands, Travel. Bookmark the permalink.